Betsson – €31,000 Wolf Cub™ Promotion! Howl at the moon and grab great prizes! Play for the €5,000 main prize and Free Spins for the whole year! Second promotion for the exclusive release of Wolf Cub™, a slot developed by Netent specially for the Betsson group. 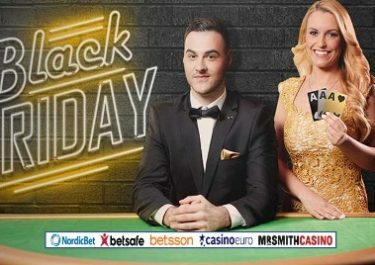 And in true “Betsson” style they called out a massive giveaway for everyone taking part in the promotion as well as some huge cash prizes. Play the new game every day to collect Free Spins and race to the top of the leader board for the main prizes. 16th – 22nd February 2017 – Everyone completing at least 100 rounds at minimum €0.20 or higher on the game, desktop or mobile, before 23:59 CET will receive 5 Free Spins the next day by 18:00 CET. Free spins earned on Friday, Saturday and Sunday will be credited on the following Monday by 18:00 CET. All spins have to be played on the day they were credited. Wagering requirement is 35x FS winnings. Bonus terms apply, read them carefully. 16th – 22nd February 2017 – Play the new game every day on desktop and/or mobile to collect points towards the leader board. The TOP250 at the end of the race will share the prize pool of cash, bonuses and Free Spins. Each day the player who has the biggest turnover receives an extra 150 points. The Free Spins for the year can be used on a variety of Netent slots, the list will be provided by Betsson. All spins have to be played by midnight on the day they were credited and winnings need to be wagered 35x. Bonus prizes have the same wagering requirement. Cash prizes are wager free. Bonus terms apply, read them carefully. Launched in 2001, the casino is operated by BML Group Ltd. under MGA Malta and UK Gambling Commission licenses. 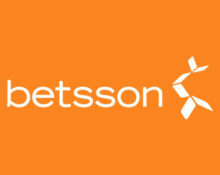 Betsson offers Sportsbook, Poker, Bingo, Scratch Cards, Games, Casino and Live Casino on desktop, mobile and tablet with games from acclaimed suppliers such as Netent, Big Time Gaming, ELK Studios, Jadestone, Microgaming, Nyx Interactive, ONgame, Play’n GO, Quickspin, Realistic Games, Red Tiger, Thunderkick, Williams Interactive, Yggdrasil as well as Netent Live and Evolution Gaming for their Live Casino.